After a decade of research on natural therapies to treat Parkinson’s symptoms, I have concluded that mindfulness is a tremendous help. This insight inspired me to create two programs which have been meticulously designed to support and enhance a successful practice of mindfulness: The Mindfulness Series and the Weekly Mindfulness Email Challenges. 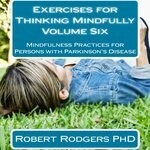 The Mindfulness Series consists of nine booklets with different themes that available as paperbacks or downloads to your computer. 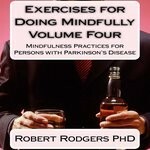 Each booklet (or download) features four to six mindfulness challenges to help persons with Parkinson’s disease get a handle on excessive stress that fuels the symptoms. The Weekly Mindfulness Email Challenges are sent to your email address for an entire year (each week) with follow-up emails which elaborate on the deeper meaning associated with each challenge respectively. A description of each program follows. Stress is a primary instigator of symptoms experienced by persons diagnosed with Parkinson’s disease. A practical and powerful way to reduce stress is to become more mindful which, simply put, means being present in the moment rather than agonizing over the past or anticipating the future. 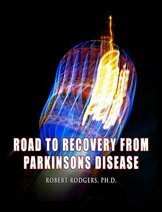 Once stress levels are well under control, symptoms of Parkinson’s will have enormous difficulty presenting themselves. The Mindfulness Series consists of nine volumes that span the topics of seeing, hearing, noticing, doing, eating, thinking, feeling, being and intending. Among all of the factors that are implicated in causing symptoms associated with Parkinson’s disease, the most critical is stress. When people experience stress, their symptoms get much worse. When stress levels are under control, symptoms subside. Everyone who currently experiences symptoms of Parkinson’s disease confirms the powerful link between stress and the presentation of their own symptoms. The idea behind a successful mindfulness practice is to become totally and completely present to each and every moment – to live in the present moment – not in the past or the future. Stress exerts an unrelenting pressure on our bodies when we slip into the past with our thoughts or skip into the future with our worries. If we fixate on rehashing past experiences that were traumatic or hurtful or unpleasant – we will insure that our body continues to release an onslaught of stress hormones. If we worry about what the future holds in store for us, we fixate on events that rarely ever happen. 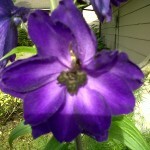 When thoughts are centered in the past or future the body is suspended in a continual state of stress. Cells are flushed with blasts of adrenaline throughout the day. This leaves little energy for the body to manufacture dopamine. Symptoms flourish under such conditions. They thrive on stress that is fueled by worry, fear, regret, guilt and anger. 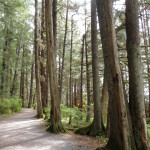 What Really Helps Reduce Stress Levels? Reset our routine way of being in the world. Reorient our thoughts so that we focus on the present moment. This is most successfully accomplished through a regular practice of mindfulness exercises where we re-wire our neurological network. A total system reset is required for most of us to become mindful. Becoming more mindful of each and every moment changes the patterns that have been embedded in the neurological system. High levels of stress is the troublemaker here. It thunders through every cell of our bodies. Nerves are shattered. Other systems of the body are jolted off balance. Without a conscious mindfulness practice we fall back into the same neurological rut that stimulates the production of stress hormones. Out of habit we continue to access the same neural pathways that trigger the same symptoms. Our neurological system freaks out eventually. Recovery is obstructed. Breaking bad habits is genuinely challenging, but it is worth the effort. Stress is reduced by redirecting our attention to the present through becoming more mindful. It is no small step to jump from harping on the past and fearing the future to enjoying and relishing the present moment. 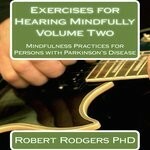 The challenges in the Mindfulness Series were created to strengthen a successful mindfulness practice. Mindfulness is the one sure fire way to reduce stress. 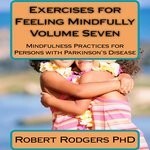 Reducing stress is the key to reversing symptoms of Parkinson’s disease. 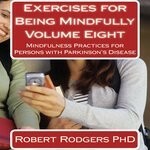 Nine themes in the Parkinsons Recovery Mindfulness Series focus on places, experiences and events that help to release stress trapped at the cellular level. Taken together they offer a variety of experiences that help to shift reactions to daily stresses and release the residue of trauma that is trapped deep inside the delicate tissues of the body. Once trauma in tissues is released and daily reactions to stress have been shifted, it becomes much easier to achieve balance among the many interrelated hormones in the body. 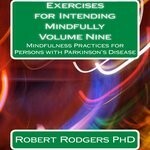 The challenges in each of the nine volumes of the Mindfulness Series heighten awareness of how tension is held in the body. Each challenge is accompanied by an explanation of how it helps heal the neurological system as tensions are gently released that assault the body and tug hormones out of whack. 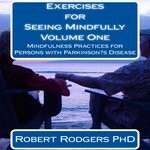 People with Parkinson’s tell me that focusing on becoming more mindful has a profound impact on their symptoms. The reason is simple. They learn how live in the present moment rather than agonizing over the past or worrying about the future. When our thoughts and feelings are connected to the present moment, the body receives the nurturing support it needs to balance hormones. Engaging each challenge is not a big deal. It is a little deal. Embracing the challenge of the week reinforces and supports a mindfulness practice which eventually becomes a way of life. When you adjust the thermostat that monitors stress hormones, your body is no longer on overdrive. Over the long run, you will feel better as the readjustment takes effect. Stress is no longer the boss. You are. Stress is reduced by redirecting our attention to the present through becoming more mindful. The transition from stress to serenity is possible when it happens gradually and tenderly by focusing on a new mindfulness challenge every week. We only need to honor the change that is required. It is no small step to jump from harping on the past and fearing the future to enjoying and relishing the present moment. We cannot change the past – so why spend so much time thinking about it? We cannot anticipate the future – so why bother worrying about it? It takes time, focus and patience to reset our neurological system to a state of oneness, calmness and centeredness. This is just what the weekly mindfulness challenges sent to your email address are designed to accomplish. The intricate systems of the body do not reset overnight. They were originally forged through years of habit. It will take time for the reorientation to take hold. We can establish a new way of being with ourselves in the world little by little, day by day, moment by moment. The Weekly Mindfulness Email Challenges offer an invitation each week to become more mindful, centered and balanced so that you can break out of the habits that inflame stress. Long term benefits of a successful mindfulness practice are considerable. Reductions in stress lead to reductions in symptoms. When we willingly accept new challenges that require us to focus attention on the present moment – our habitual infatuations with the horrors of past and the uncertainty of future are gradually transformed. A gentle transformation to be mindful of each and every moment is accompanied by a diffusion of stress and a welcome disappearance of symptoms. An email is forwarded on the first day of signup to introduce the mindfulness challenge for the week. The idea behind each of the challenges is to focus your attention on doing an activity you would never normally engage in or even think about. This crafts new neural networks and draws attention to the present moment. Each mindfulness challenge is designed to redirect your attention away from the past or future and onto the present moment. Challenges require only a few minutes of focus and concentration each day. 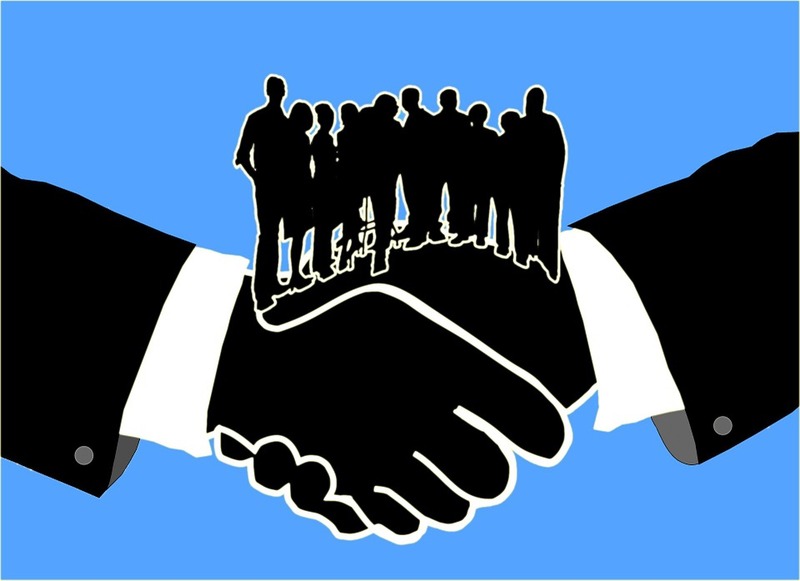 A follow-up email is forwarded four days later which provides a full discussion and overview of the underlying meaning of the week’s challenge. There will always be a deeper meaning which underpins each of the challenges – however silly or outrageous they may appear at the outset. Subscribers are invited to continue working with the week’s challenge until a new challenge is sent via email the following week. Each month subscribers receive four unique mindfulness invitations and four explanations of the deeper meaning behind each invitation. The invitations are forwarded to the subscriber in emails. Invite others to join along with you as you accept the challenge of the week. Is the mindfulness activity of the week frustrating, challenging, fun, exhilarating, funny, perplexing, difficult ..? Is it so silly you cannot bring yourself to do it? Do you find yourself forgetting to pay attention to the challenge of the week? One purpose of becoming more mindful is to have fun in the most unexpected ways. Each week’s mindfulness activity invites you to be present to the moment in a different way. There is nothing to be “learned” or “practiced.” There are no tests. There are no expectations you have to practice anything or even do it! The ultimate benefit can be compelling. When we become more mindful of each moment, we do reduce stress. Without enduring the strains and demands of stress, our body has enough room to become more balanced and centered. Can A Mindfulness Practice Really Help? How much time and energy do you spend every day worrying about whether your symptoms will get worse in the future? Such worries are an impediment to your recovery! Such worries will not help you feel better in any way, shape or form! Direct your energy and time to experiencing the wonders of your world in new and unexpected ways. Have fun with the new mindfulness invitation each week. Laugh at yourself and others when you accept the mindfulness invitation of the week. Feel how much lighter you will feel. Experience stress lift off of your body like a feather floating up to the sky on a warm summer’s day. I determined the cost of the weekly mindfulness email program by doing a sophisticated mathematical calculation: Four coffee lattes in a month (assuming you are drinking only one a week) amounts to a grand total of $12.50 (US Dollars) each month. This then is the total cost of the program each month – just $12.50. Once you join the Weekly Mindfulness Email Program your credit card will be charged $12.50 on the same day you subscribed on each subsequent month. You are welcome to pay using a credit card or debit card. How Long Does the Weekly Mindfulness Email Program Last? 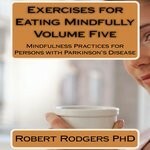 You will receive 52 mindfulness challenges each week over the course of one full year. Your credit card will be charged $12.50 each and every month for 12 months. After a year, your ability to become more mindful will mature. At the end of a year you will be inventing your own mindfulness challenges! You, of course, can cancel your subscription anytime. 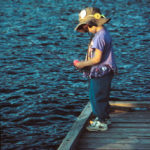 Click on the girl below who is fishing mindfully to subscribe to the Weekly Email Mindfulness Program at only $12.50 each month for 12 consecutive months. Mindfulness emails have the potential to bring far greater benefits to your health and well being because they help forge new neural networks. 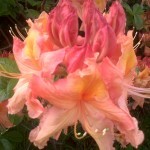 They help establish new habits of being present in each and every moment. It is in this place that symptoms wither away. 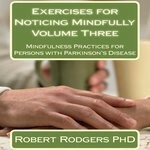 Whether you choose to start with a paperback or download of one of the nine volumes in the Mindfulness series or subscribe to receive the weekly emails, know that becoming more mindful will reduce stress and anxiety, both of which fuel the symptoms of Parkinson’s disease. P.S. I have been doing the exercises that I have developed and am happy to report that they have made a huge difference in the degree of stress in my life. I am less scattered, more focused and more energetic. The quality of my work has improved. I am having more fun. My body loves me for living in the moment.